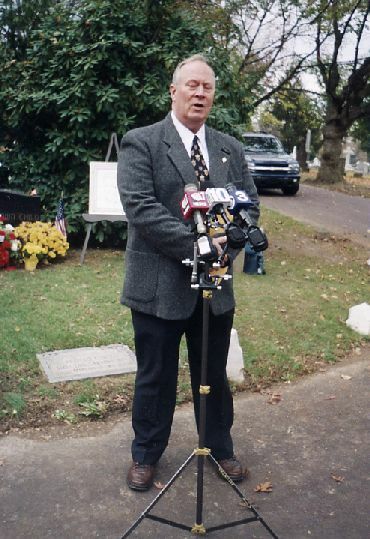 A special service was held on Tuesday, November 11, 2003 at Ivy Hill Cemetery to commemorate the fifth anniversary of the boy's reburial there. 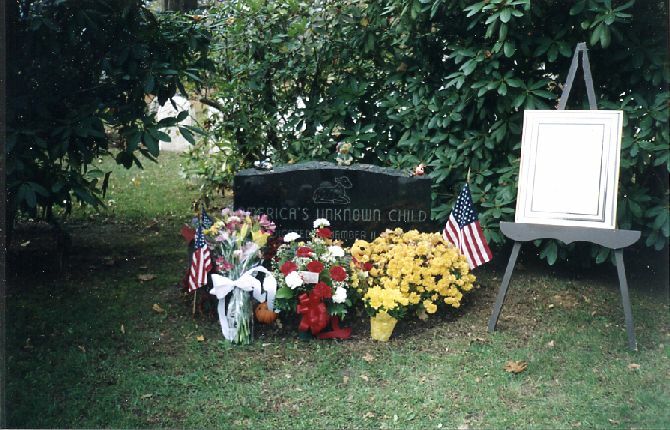 The grave of America's Unknown Child on November 11, 2003. 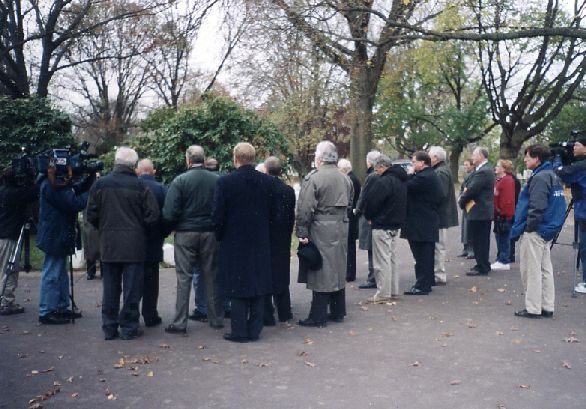 A view of the assembled crowd of attendees as the service began. William Fleisher - Commissioner of the Vidocq Society. 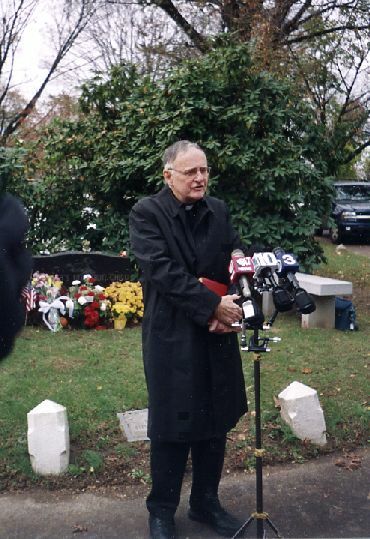 Monsignor James Howard - Chaplain of the Philadelphia police and fire departments. 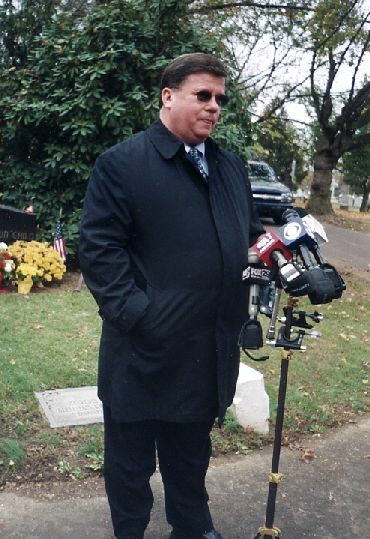 James Boyle - Philadelphia Police Department Homicide Inspector. 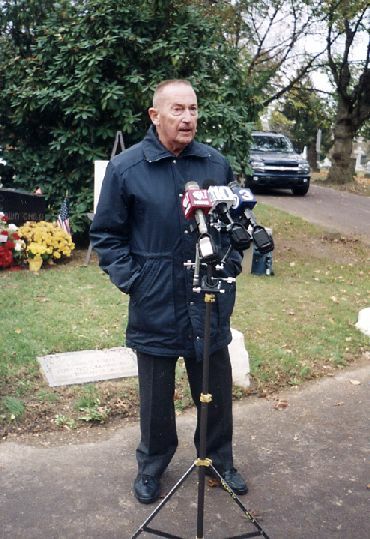 Elmer Palmer - first police officer to arrive at the discovery site in 1957. 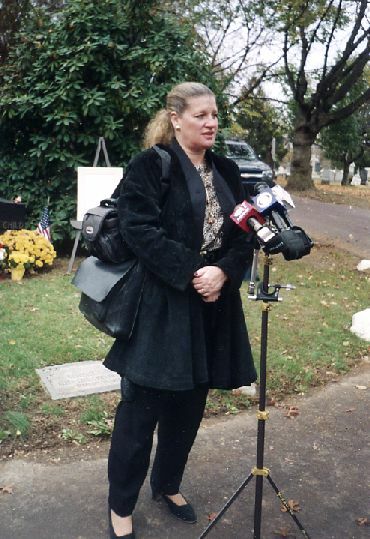 Barbara Cohan - United States Attorney for the Philadelphia District. 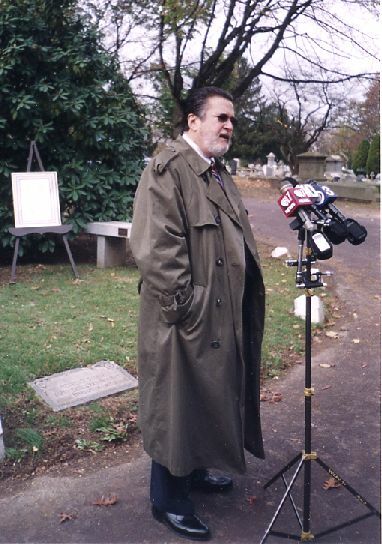 Tom Augustine - Philadelphia homicide detective in charge of the "Boy in the Box" investigation. 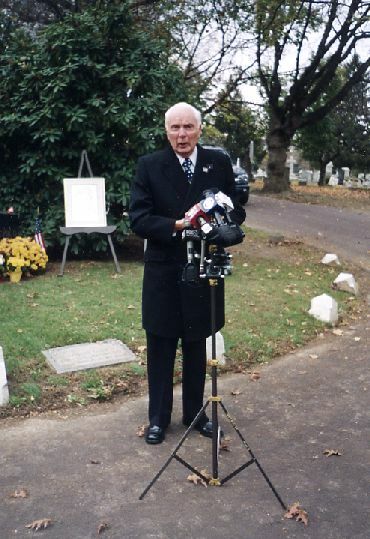 William Kelly - Vidocq Society "Boy in the Box" investigator. 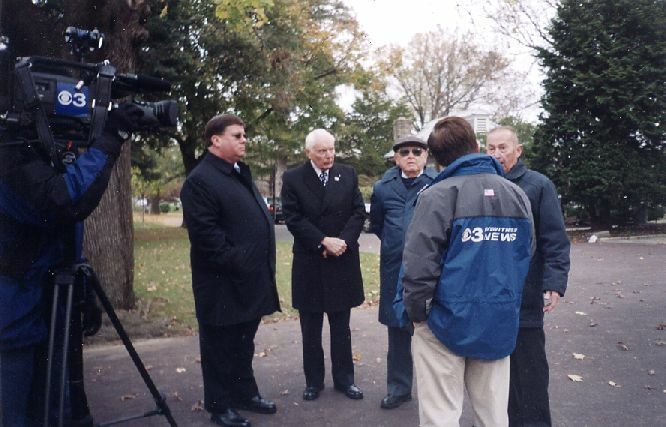 Tom Augustine, William Kelly, Joe McGillen, and Elmer Palmer are interviewed by TV reporter, Walt Hunter. 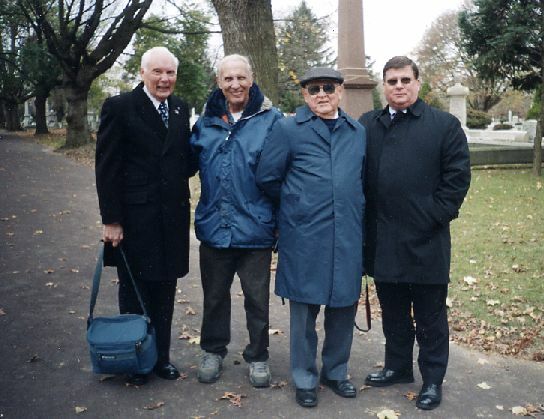 Vidocq Society members pose for a group photograph after the service. 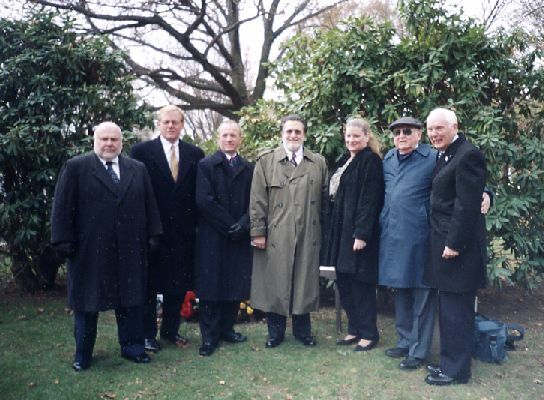 (L to R): Nate Gordon, Ed Gaughan, Stanley Olkowski, William Fleisher, Barbara Cohan, Joe McGillen, and William Kelly. The "America's Unknown Child" team. 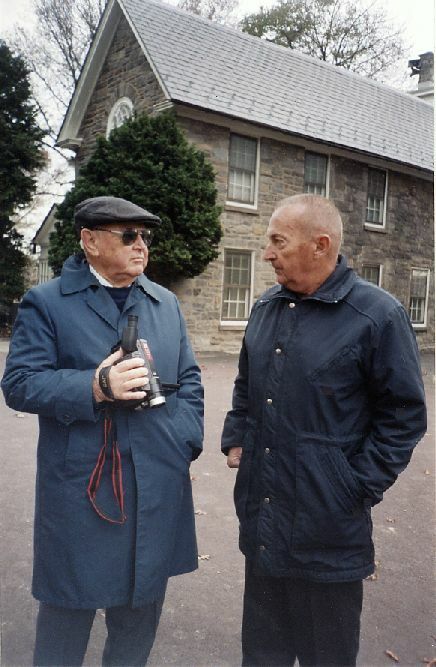 Joe McGillen and Elmer Palmer discuss the investigation. 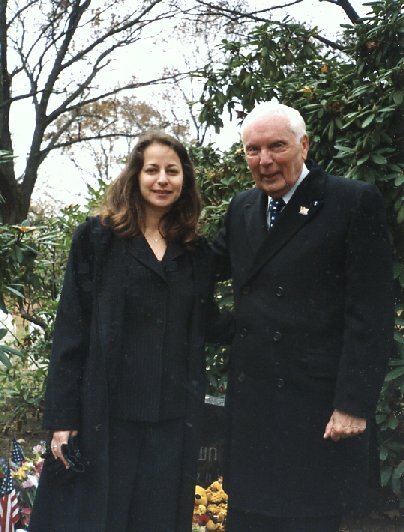 Sabrina Rubin Erdely and William Kelly. Sabrina wrote an excellent article about the case for the November 2003 issue of Philadelphia Magazine.